Horizons Atlanta believes that every child in Atlanta, regardless of background, should have a chance to make a positive impact on their community. 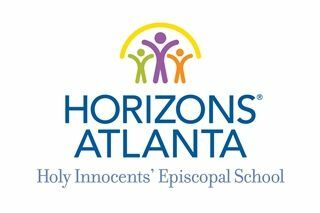 Horizons at Holy Innocents’ Episcopal School invites local public-school students to attend a six-week summer program right here on campus. Our students join the program the summer after Kindergarten and return to the program each year through 9th grade, building lasting relationships with their teachers and peers while developing lifelong skills like commitment and determination. Horizons’ education model combines academics with arts, sports, and cultural enrichment – a combination that has been confirmed by extensive research as the most effective way for a summer learning program to address the achievement gap. In small classes led by professional teachers, our students dive into rich curricula with a focus on reading, STEM, and arts. Swimming and other confidence-boosting activities break down barriers to success and expose children to new opportunities. Horizons at HIES is looking for student volunteers for our 2019 summer program. This is an exciting and fun opportunity to provide important community service in addition to learn the basics of working with children. Volunteers will receive a specific assignment, which could include assisting teachers and children in the classroom, leading a swim group, and organizing sports and arts activities. Classroom volunteers are expected to attend all activities with students including field trips and meals. A typical day begins at 8:30 a.m. with breakfast and includes academics, technology, art, dance, swimming, sports and lunch. The day ends at 3:00 p.m. with a snack. If you are accepted to volunteer at Horizons, a parental signature will be required. The 2019 summer program runs from June 10– July 19; there will be no program on July 4 or July 5. Volunteers must commit to a regular schedule and daily assignment(s). Please give careful thought to your availability during this time. Volunteering for Horizons is an exciting commitment that should be met with a sense of professionalism and dedication. Have you volunteered for Horizons previously? If selected as a volunteer, please select one of the following as your preference for a volunteer placement. We will do our best to place you appropriately. Why is volunteering and community service important to you, and what do you expect to gain from your volunteer experience at Horizons? If you have volunteered with Horizons before, please explain your favorite part and why you would like to return. Please list 2 references not related to you, whom you have known at least for 1 year: One reference should be a current teacher. Please include name, phone, email, and nature of the relationship. PROGRAM VOLUNTEER SCHEDULE SECTION Note: Horizons encourages applicants to consider their schedules and if possible to apply for the 6 week volunteer session. You MUST commit to a one week session in order to be a volunteer. Understanding of Volunteer: I understand that this application is no guarantee of placement as a Horizons Volunteer. If selected, I will attend each day I am assigned. I understand that I must sign and return the Volunteer Code of Conduct form to be accepted as a volunteer. Parental Understanding and Consent: I understand that this application is no guarantee of placement as a Horizon Volunteer. If selected, I will ensure that my child attends the program each day she/he is assigned. I understand that my child will be participating in swimming and other sports, unless excused by a written physician’s note, and that my child may attend fieldtrips with the Horizons program. I also agree that photos/videos of my child may be used for program promotion and understand that my child might be identified by name. Thank you for applying to volunteer at Horizons!